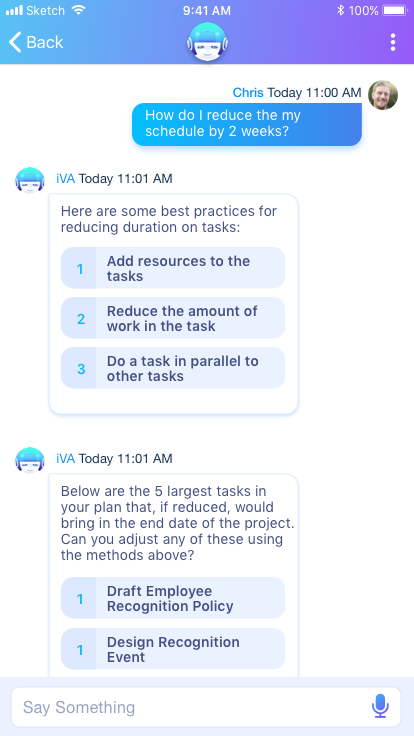 Project Planning Pro introduces iVA – your AI enabled Chatbot that makes project management easier. Whether it’s simple or complex tasks, iVA is there to help you decide the best way to manage your work and provide you the critical information you need at the right time to make the best project management decisions. Having an AI enabled Chatbot assistant is the latest trend in software innovation. 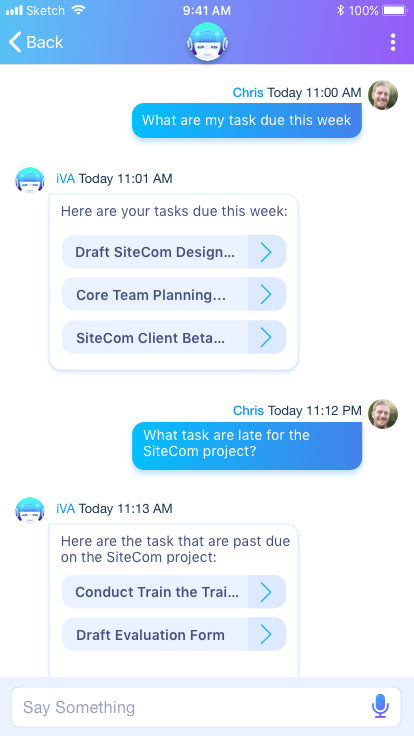 Available 24/7, iVA is a powerful assistant that can help you perform common project management functions with quick and accurate results. Powered by Artificial Intelligence, iVA understands your what information you need to be on top of your game for simple to complex projects. You will be able to sign-up to try iVA soon.